Here is the quick list of the top two dating sites in Africa. I’ll go into more detail in my reviews later in this article. 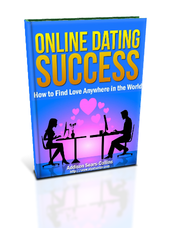 I had a great time online dating in Africa during my years as an expatriate living in Mauritius and South Africa. Thanks to significant investment across the continent in information technology and fiber optic bandwidth, the slow and expensive internet connections of the past are slowly but surely becoming history. Today, more people than ever are giving online dating a try in countries such as Nigeria, Ghana, Tanzania, Mauritius, Mozambique, Uganda, Botswana, Ethiopia, Namibia, Angola, and many others. 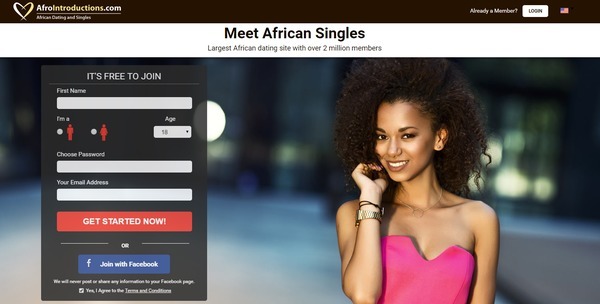 Without further ado, here are my detailed reviews of the top two dating sites in Africa. Afrointroductions.com is by far the best online dating site in Africa. No other site has achieved the delicate balance between quality and quantity like this site has. I was a long time member of Afrointroductions.com while I was living in both Mauritius and South Africa and can tell you that it works. I had a girlfriend I met through this site and met women of all shapes, sizes and personalities. To be honest, it is really the only site you need in Africa as all the other sites just don’t come close. The site is part of the umbrella of the Cupid Media Network, which has dating sites internationally. AfroIntroductions has been extremely successful since it was launched in 2002, with 2,000,000 members and growing. As is the case with any dating site, there are a few suspect profiles, but if you are of African descent or Black, or simply interested in meeting Black singles, this is a great place to go. Signing up goes fairly quickly. There isn’t much to it. You can either provide your email address, gender, location and age or just link up your Facebook account to start. Write a little about yourself, the type of partner you’re seeking, and you’re pretty much in. You can now browse around the site to view the profiles of members. Along the way you’re going to get a prompt asking you to provide more profile information if you want to continue, which is a bit distracting if you’re not interested in completing your profile just yet. When this happens, you only need to answer a few questions before you can continue browsing. You can do a very specific search beyond just the basic information like location, age, and education. They let you choose ethnicity, body type, lifestyle choices like smoking and/or drinking, religious views, zodiac sign, marital status, and have kids vs. don’t have kids. The messaging system on AfroIntroductions is fairly easy to use, with a lot of different options to filter and narrow your search. Aside from messaging, you can “show interest” with a click to the heart icon located on a member’s profile, or you can add them as a Favorite. While you’re online the site shows you if someone else is online and can receive an Instant Message. The site also supports audio and video chat, enabling you to find out if you and another member might be a good match before meeting them in person. As an unpaid member, you are allowed to receive messages from people with a Premium membership, however if you want to reply or send your own messages, you must upgrade to Premium. The site is well laid out, well designed in my opinion and quite welcoming. If you look at the bar at the top, you can find out how many other members are currently online, which makes it nice. It’s also helpful to be able to browse just Reverse Matches, which are members that are seeking someone like you, and Mutual Matches, which means you both meet one another’s criteria. Both these features make it much easier to find someone you’re highly likely to be compatible with. 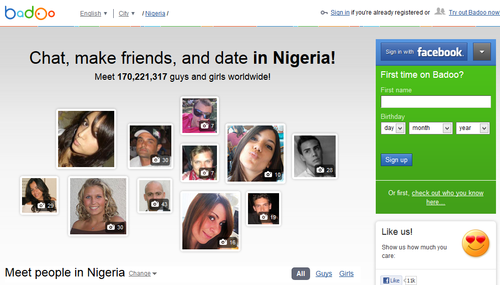 A massive worldwide online dating site launched in 2006, Badoo is an OK option for Africa. It doesn’t have near the same quality as Afrointroductions.com, which is why I would not focus on it as a starting point for your search. It is hard to tell what profiles are real and what profiles are fake on this site. It looks to me like there are a good bit of fakes. I did a full write-up on Badoo over on my review of the best dating sites in China, so if you’re interested in signing up for Badoo, check that article out for all the details on this site.